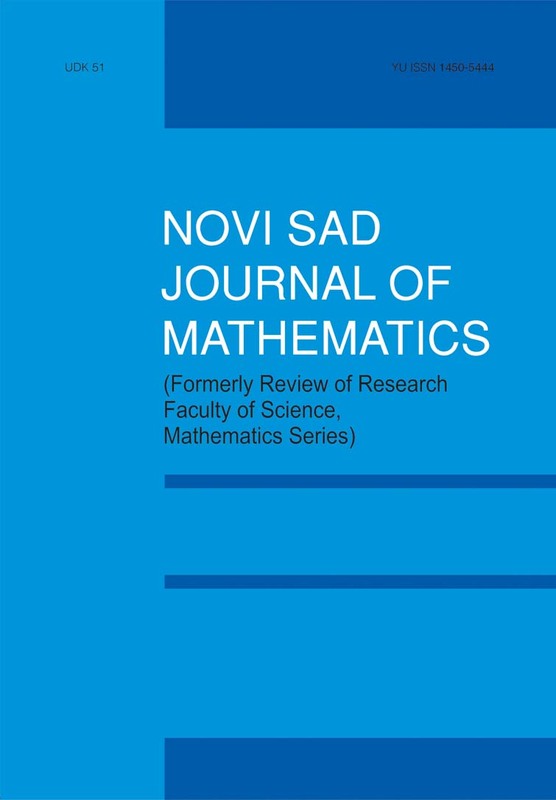 Novi Sad Journal of Mathematics is an Open Access Journal. Formerly Review of Research, Faculty of Science, Mathematics Series (Zb. Rad. Prirod.-Mat. Fak. Ser. Mat) from Volume 1, 1971, to Volume 15, 1995, NSJOM publishes original research papers from almost all fields of pure and applied mathematics. Current editor in chief is Professor Stevan Pilipović. Previously, editors in chief were Professor Dragoslav Herceg (from 1996 until 2014) and Professor Olga Hadžić (from 1971 until 1995). NSJOM is an open access international journal independent of publishing houses and partially supported by the Ministry of Education, Science and Technological Development of the Republic of Serbia. The journal is indexed in Mathematical Reviews, Zentralblatt für Mathematik, Referativnyi Zhurnal and Current Mathematical Publications. NSJOM is worldwide distributed to 220 university libraries. Novi Sad Journal of Mathematics publishes original research and research-expository papers covering all areas of pure and applied mathematics. Our aim is to publish papers of interest and understandable to a wide mathematical audience rather than to a narrow class of specialists, thus bringing together different branches of mathematics. Clarity of exposition, accuracy of details and the relevance and interest of the subject matter will be the decisive factors in our acceptance of an article for publication.